Alex Hern argues that much of the chancellor George Osborne’s plans for economic growth will put the UK in a race to the bottom which it cannot possibly win. George Osborne today has signalled the dangerous new route he plans to go down, apparently in an effort to stimulate growth: Starting a race to the bottom. The problem Osborne has is that there is always going to be someone able to undercut the UK internationally, and there will always be someone prepared to act as badly as the law allows them domestically. If he starts that race, he will lose; and even if he wins, the bottom is not somewhere the UK should be. Yet arguing, as he does, that we as a nation need to compete with states like Liechtenstein and Monaco – or, let us not forget, with British territories like the Cayman Islands, a hotbed of tax evasion – by lowering business taxes, he is entering in a race that we can never win. These countries are tiny city-states, who fund what rudimentary welfare states they have with minimal tax revenue from companies whose presence in the country is often little more than a PO box. Businesses do not headquarter there because of the quality of the staff, the access to markets, or the international prestige, but because and only because they can spend less on taxes. If we do manage to cut our rates to a level low enough to win these headquarters back – doing untold damage to our revenues in the process – then it is far easier for those countries to cut back again than it is for us. The end result of this race is bad for all concerned, except the businesses who can make a quick buck. What they both mean is that because nations overseas treat their workers badly, we must too. This is, plainly, madness. It is a mentality that will, without hyperbole, lead to deaths. The four miners who died in Gleision brought back to the forefront of British minds how dangerous collieries can be; and yet, in China, there is an average of one death from coal mining each week. It is a nation that produces 35 per cent of the world’s coal, and has 80 per cent of the world’s deaths from coal mining. If we do try and compete by lowering regulations, it is indeed China we’d be competing with. As Richard Exell has showed, we already have less employment protection than every other OECD state other than the USA; there’s no-one else to compete with other than the developing world. Again, we should not try and see who can treat their workers worse or try and capture the market in low skilled, low paid and badly treated labour, but we should instead sell ourselves to companies on the quality of our workforce; on their education, on their ability and on the welfare state that ensures that the baseline is high. Winning business in this way is not a pipedream. to go on strike in economic times like this, when you’re being offered pensions far more generous than most other people could ever afford. The claim that public sector pensions should be low because private sector pensions are low is often heard. But why should it be true? Why not instead make the opposite argument: that the only reason why private sector pensions are as high as they are is because they face competition from the public sector. Some business may offer a fair pension out of the goodness of their heart, but many more offer the lowest that they can get away with – and if workers aren’t offered a better alternative in the public sector, then that low will be much, much lower. “This hotch-potch of small measures and re-announcements shows how out of touch Ministers still have no idea of the scale of the problem families and businesses are facing right now. Osborne seems to think that the UK’s only hope is to become the Lidl of the world, competing on price an nothing else. But there is another way. We can sell ourselves on the quality of our labour force, on the added value we can provide businesses who headquarter here, and we can use the public sector to provide much-needed competition that will raise standards all around. Osborne should know the appeal of quality, and if not he can ask his old Bullingdon friend James Gissing, the founder of Ocado. What he shouldn’t do is join in a race to the bottom, because we can’t win – and even if we could, the bottom is not a nice place to be. 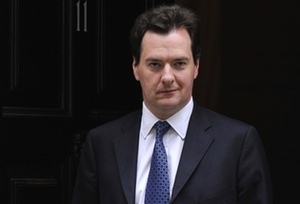 RT @leftfootfwd: Osborne dreaming of a race to the bottom http://t.co/3a4tY1rs How deep can he go?? mankind is not ready for this higher state of evolutionary awareness. So lovely thoughts, but on planet earth, in which the UK has one of the finest and most advanced and well funded (AND RIGHTLY SO) welfare states, the real problem is a left that has no concept or understanding of what is going on in the rest of the world. ! mine worker in china a week? 20 years ago 40 to 60 thousand miners died there a year, yet you were happily buying their cheap crap. So, perhaps a touch less hyopocrisy and a little more realism into how we step away from the abyss, rather than a knee jerk anti tory rant. No longer interested in the hatred, i want to know about heating, jobs and the future, because i REALLY don’t vare about your high fellutin ideals, i want to know that my ’employers’ aren’t leaving the country. seriously peeved at an article that depicts the country as some sort of third world hell hole, it’s poor and talks the country down- Shame on u!! Perhaps the developed world might consider that it regularly DEFECATES into a grade of water that would prevent 30,000 (yes thirty thousand mothers) watching their BABIES die EVERY day cos they didn’t get access to that grade of water. So MAYBE the left might get of its high horse and consider how those 30,000 mothers feel watching their child die from cholera/typhoid/malaria, rather than crying about British workers and their soon to be terrible conditions and the shocking pensions boo hoo… And yes I come partly from a much poorer country, a poverty this writer cannot imagine i don’t think, so am affordeda better perspective, buthis emotional appeal is so dismissive of other workers on the planet it becomes offensive- Idiot!! Again: A race to the bottom hurts everyone.